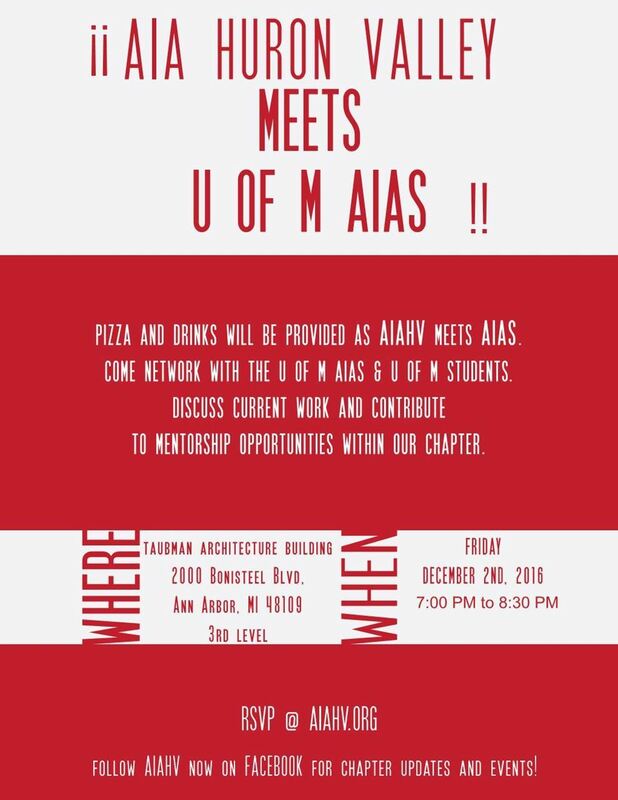 Come out to U of M's School of Architecture to meet with University of Michigan AIAS members! These students want to meet you and to hear about your experiences in architecture. This is a great chance to engage students and provide mentoring opportunities. Small tours of the present space will be provided by students. Pizza and drinks will be provided so please RSVP so we have a good headcount ahead of time.